can some method be developed to avoid those route numbers go on both ways? Where are you seeing this map? 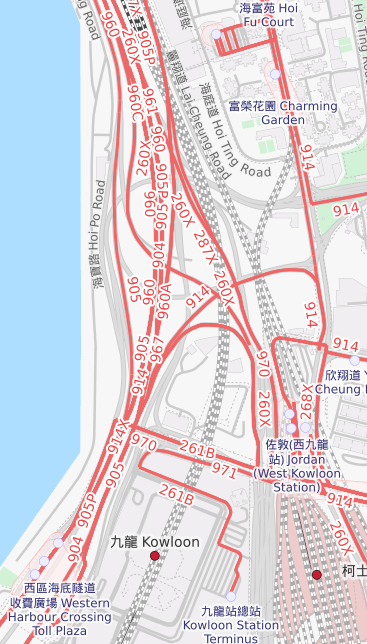 Standard OSM map does not shows those references ( https://www.openstreetmap.org/#map=17/2 … /114.16027 ). Unless the map isn’t made by you you should try to discuss the subject with the map provider, assuming it’s a raster map witch do not allow you to alter the map easily. About the only other option is to have the label orientation relative to the direction of the way/route, but then you'd end up with upside-down labels, which IMO would be even worse. Can some special handling be added, for instance if the highway relationship consists of over 80% way that are +/-15 degree from the N/S axis within the display area then use the direction of >50% length to display the numbers?